One-day biking event organized by the Benzie Sunrise Rotary Club and hosted by Crystal Mountain in Thompsonville! 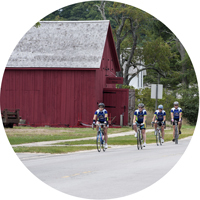 The 30-mile route offers scenic rolling hills going south and east from Crystal Mountain taking a circular route to the village of Kaleva and past the historic Kaleva Bottle House & Museum and Kaleva's outdoor Sculpture Park. Then return back to Crystal Mountain on a mostly flat route that takes you over Big Bear Creek and the second crossing of the beautiful Betsie River. 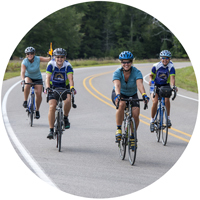 The 45-mile route begins with the same scenic and easy rolling hills going south and east from Crystal Mountain to Kaleva as the 30-mile route. Heading out of Kaleva the route will take you north and west to the pretty shores of Bear Lake and then back through more challenging hills on Glover’s Lake Road. The final stretch returning to Crystal Mountain will be a mostly flat route that takes you over the second crossing of the beautiful Betsie River. The Metric Century features some of the area's best biking roads and climbs adding up to more than 3,000 feet. The route heads west from Crystal Mountain on rolling hills to the scenic M-22 Pure Michigan byway. From here you will head south and experience the magnificent views of Lake Michigan from the Arcadia Lookout at Inspiration Point. And then . . . are you ready for a 40+ mph downhill? 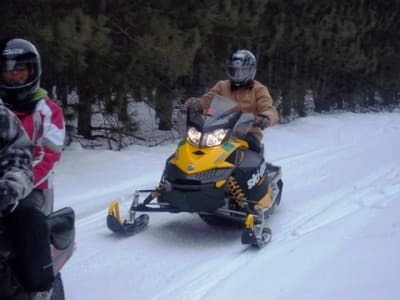 From here you will experience winding roads and hills and orchards, a ride along the south shore of Crystal Lake and then through the town of Frankfort and the village of Elberta on the way back to Crystal Mountain. The 100-mile route will challenge even experienced riders this early in the season. 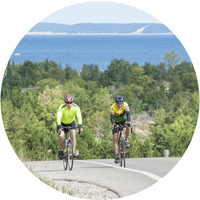 It follows most of the Metric Century route with an added bonus of following the north shore of Crystal Lake, providing great views of Platte Lake and including some of northern Benzie County’s best hills. Come challenge yourself with more than 5,000 feet of climbing! Fondo will be available for all who want their rides timed, but Fondo Competition will be restricted to the 62- and 100-mile rides, with awards for both individuals and teams. Teams will consist of four riders in the men's competition and three in the women's, with the three fastest times counting in each category. 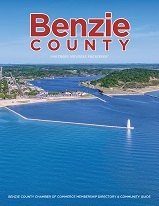 Proceeds from Bike Benzie fund the Benzie Sunrise Rotary Club’s Tim Krause Memorial Scholarship (created in memory of the founder of Bike Benzie), as well as many programs and activities that improve the lives of the youth of Benzie County.